Welcome to the official website of the Cryptex Hunt! 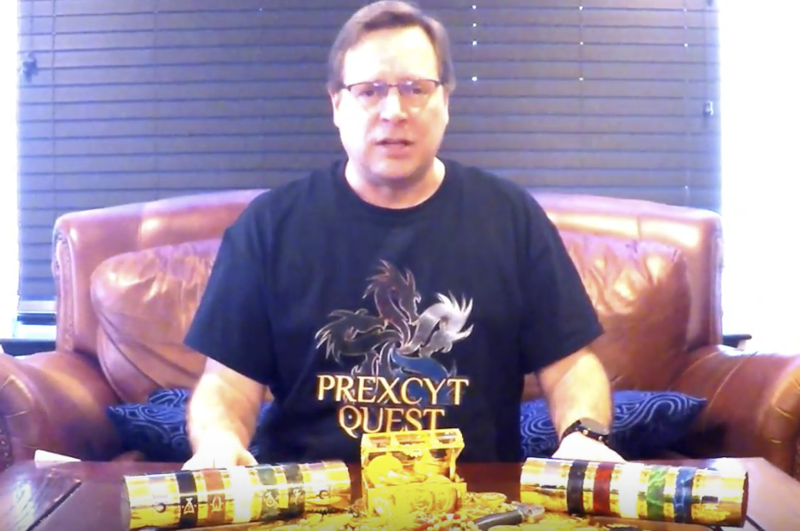 The Cryptex Hunt is a free puzzle hunt provided by Justin Nevins, the creator of the first Cryptex® Security Box. The primary hunt creators and puzzle designers are Errol Elumir, Darren Miller, and Dan Egnor. Technical assistance has been provided by David Lewis and Cryptex wrangling/training and Cryptex technical consulting provided by Justin Nevins (as well as design and creation of the prizes). More information can be found on our Bios page. Several other people contributed to this hunt as game testers, creatives, and consultants: Julia Nevins, Manda Whitney, Alex Wai, Margaux Yiu, Michael Yuan, Ruby Yuan, Debbie Ridpath Ohi, Lizette Tanner, Kari Maaren, Mags Storey, and Tyler Goen. To them we owe huge thanks! The idea came about while Justin was chatting with some of his puzzling friends and someone asked if there was a “Cryptex Day” holiday, to which he replied “Sure… it’s March 1st!” (the day he created the first Cryptex back in 2004). And then Errol took over. He gathered bunch of really talented people and somehow managed to get them to volunteer their time and together, resulting in what we hope is a very unique and fun puzzle hunt.